Peg Sheridan will be in a show at Louisa Arts Center with oil/pastel artist Julia Lesnichy from March 23-May 18, 2018. 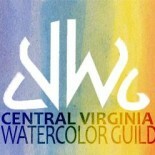 The center is located at 212 Fredericksburg Avenue, Louisa, and the website is www.louisaarts.org. Peg is one of 28 professional artists invited to participate in the Queen City Plein Air Festival in Staunton, April 17-22. All painters are invited to be a part of the Quick Draw Art Competition and Wet Paint Sale on Friday, April 20, from 9:30 am to 12:30 pm. See details at: www.bssschool.org. Also see Peg’s local classes under the Workshops–Other menu. This entry was posted on Mar 25, 2018 by miatomaine in Member news.